Original painting in acrylic on cotton (56x 56cm) SOLD! 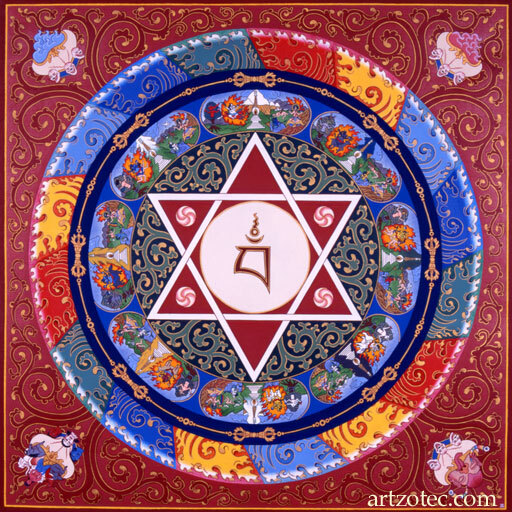 This mandala shows the blissful wisdom of Vajrayogini appearing as a celestial palace. The youthful red goddess, shown by the Tibetan syllable 'bam' in the center, embodies the female aspect of the Buddha and the inseparability of bliss and emptiness.